I guess I am an Anglophile. It's probably in the same way that it's a little bit exotic - you don't have as much context. I think context is probably the reason you are inclined to dislike something. Chris Keating definitely introduced that movie to me and I love that the songs are so well integrated into the story - they are as important as the story to setting the tone. Probably more so than Bugsy Malone I'd say. It's a mood film. It's a classic horror story but the way the songs are integrated is really seamless. I've definitely told people before that The Wicker Man is one of my favourite musicals and they've said, "Woah wait a minute - that's not a musical" - there's this idea that it's above a musical. That's the kind of tone I love - it has a dark ending - the stuffed-shirted, conservative pious guy who's just there to save a lost girl gets burned at the stake at the conclusion. You've got a happy ending in Break Line? Well, sure. The guy is hanged - he's not a total innocent at all - he made a deal with the devil I guess. But yeah the couple does get away. But the anti-hero, well some way between a hero and anti-hero he gets hanged. 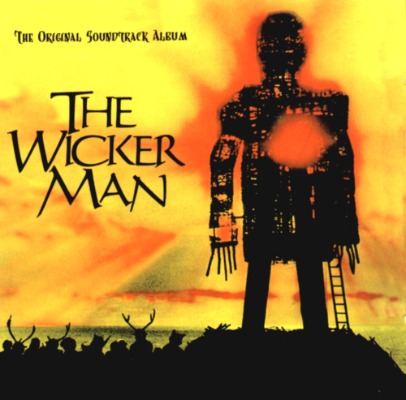 What I really love about the way the songs are integrated into The Wicker Man is it's totally fantastical. It doesn't make sense that they suddenly sing it but the music has this effect on this guy - the inspector, detective guy, where he's almost driven to insanity. He can't control his lust when he hears her singing. It's the siren-like quality of the song.